As most of you know, I cook a lot. 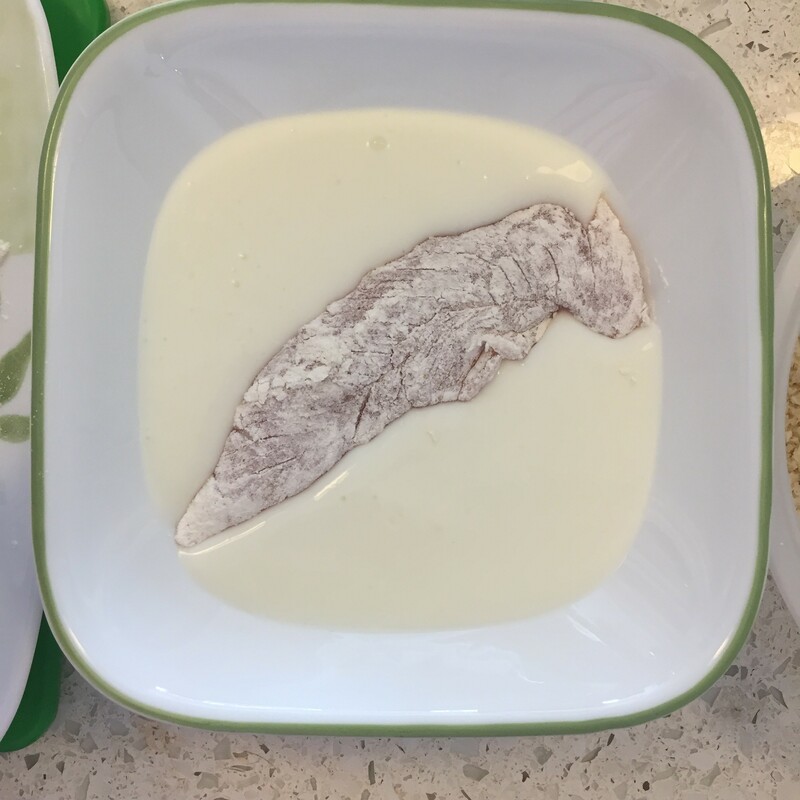 I rarely find cooking challenging, and I rarely get stumped on what to cook. This time though, things were different. When someone asked me to cook with Red Bull and their new flavors, my first initial reaction was “uhhh don’t we just drink that? Or mix it with vodka?” All valid questions. And while the answer is generally yes, I figured why not give this a shot and see what I can come up with. I am creative AND a good cook, dammit. 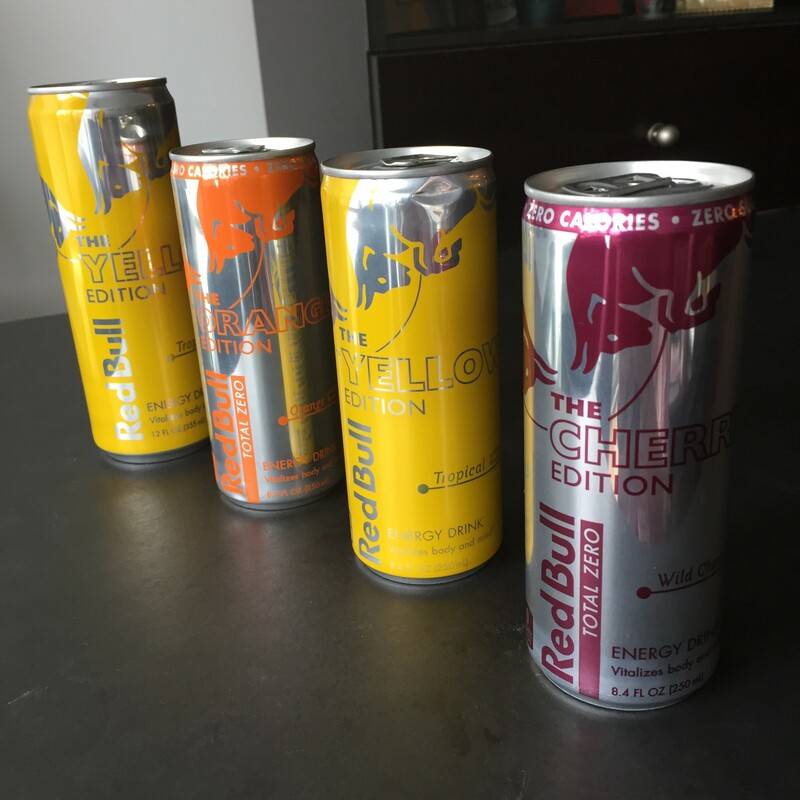 So these are the new flavors for Red Bull: Yellow (Tropical), Orange, and Cherry. The tropical has a strong mango and pineapple taste, the orange I really didn’t like much, as it reminded me of medicine you take as a kid, and the cherry was very sweet, but it was good and I immediately thought to make a glaze or sauce for meat. 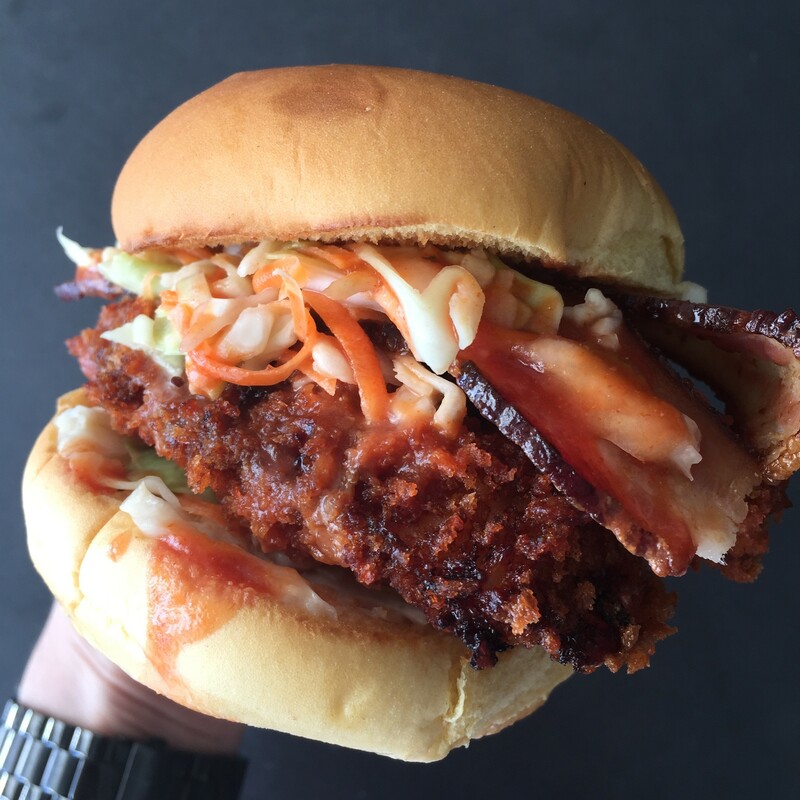 They have cherry cola ribs, so why not have cherry Red Bull chicken? 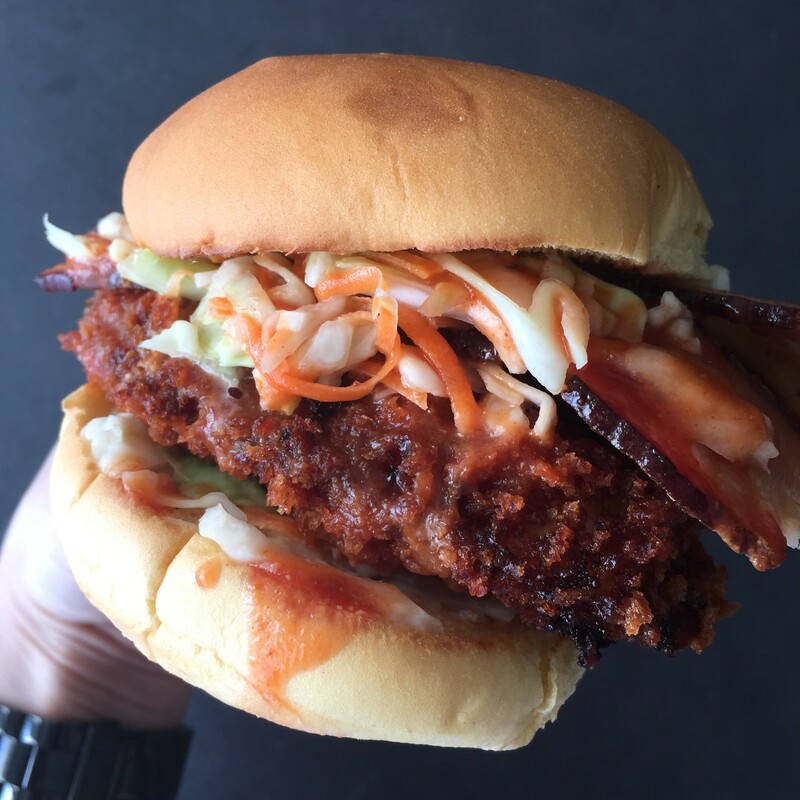 I decided to make a crispy chicken fingers sandwich with a cherry Red Bull BBQ sauce, and cole slaw with a Yellow Red Bull spicy vinaigrette. Verdict? Pretty damn good. Note: The sauce is a sweet BBQ sauce, and if you want to cut the sweetener taste even more, I would add more mustard. And you can up the spice factor as well, which may help. 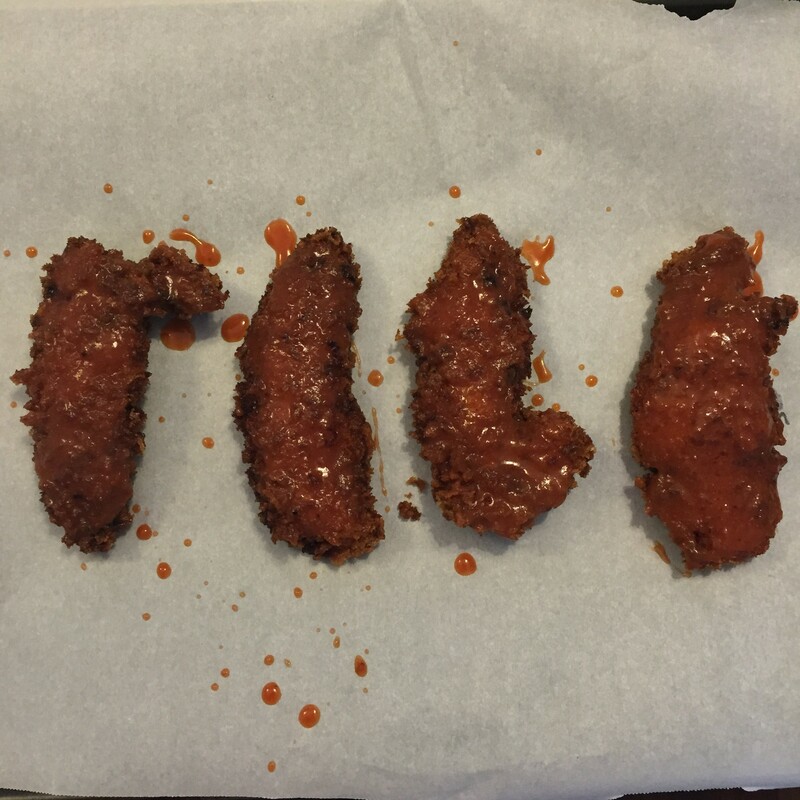 I can see kids dunking these chicken fingers into the sauce and really loving it. Though I’m not sure we need to be giving kids more energy…? 1. 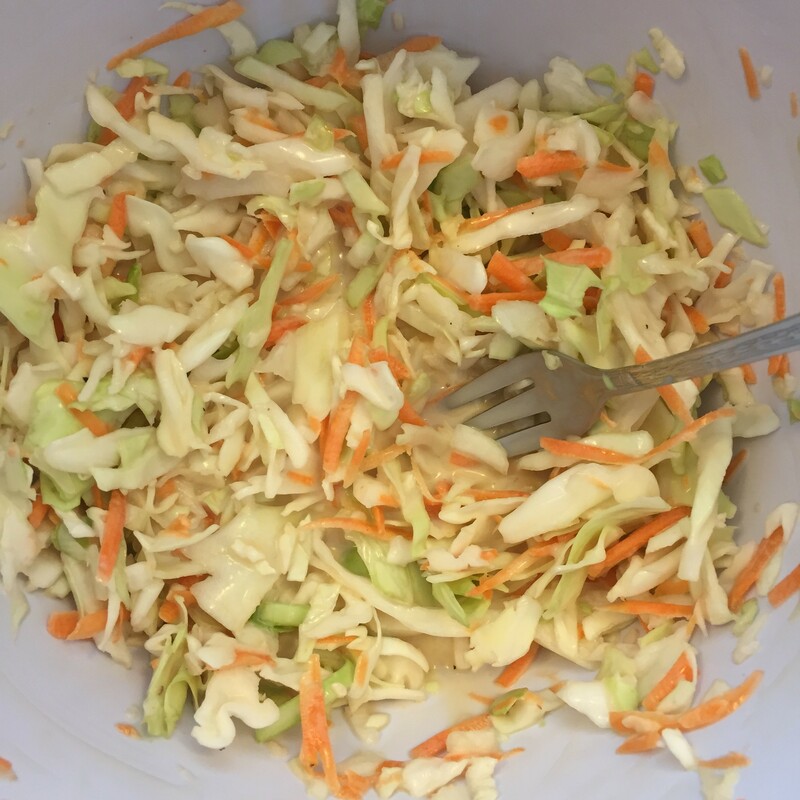 Make the coleslaw dressing first, since this needs time to chill, literally. Add the yellow Tropical Red Bull, mayo, soy sauce, Tabasco, and a pinch of black pepper. Stir to combine until there are no lumps. Add the cole slaw and mix until it’s coated with the dressing. Cover and refrigerate for at least an hour so the flavors can develop and soak into the cabbage. 2. 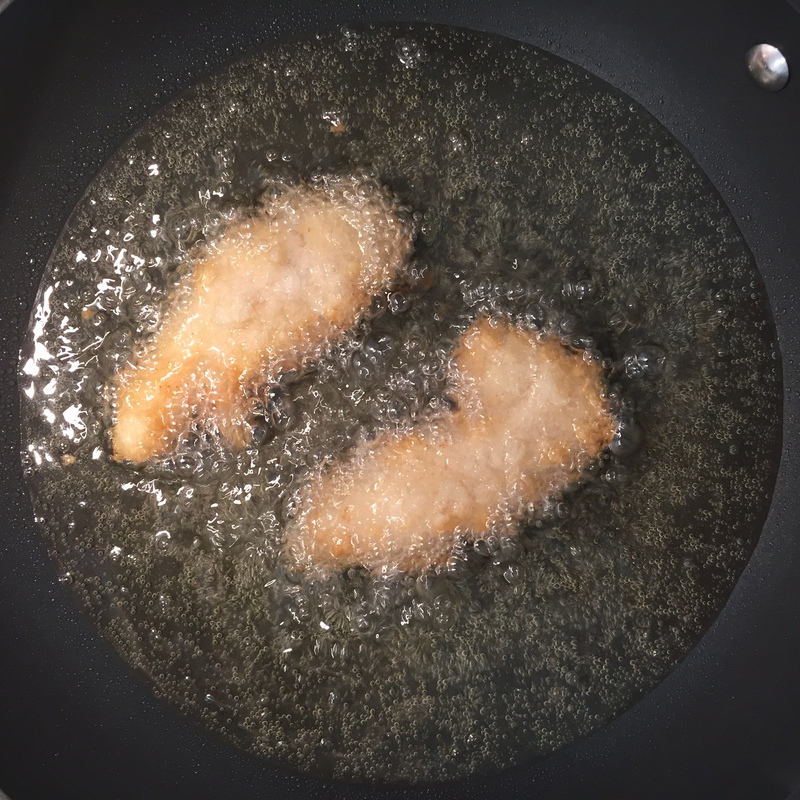 Heat about an inch of vegetable oil over medium-high heat for frying. 3. 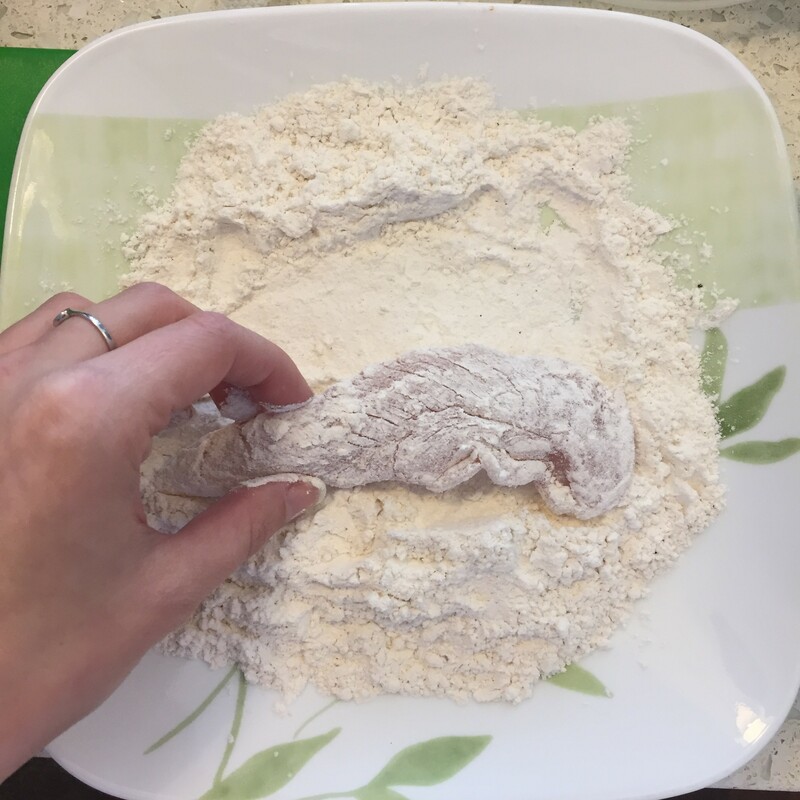 Make the chicken fingers. 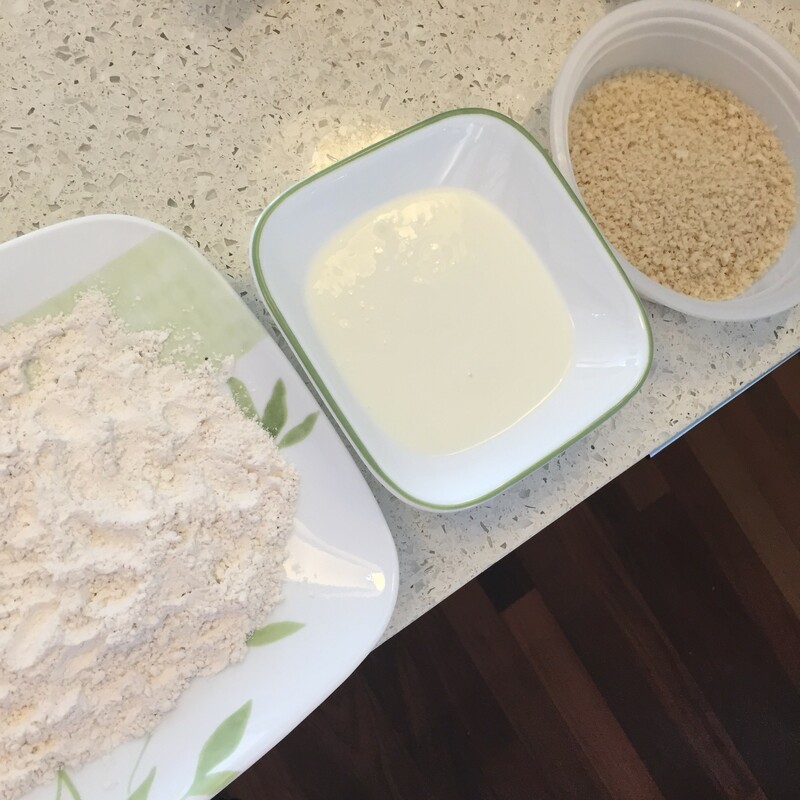 Set up your breading station: an assembly line of flour, buttermilk, and panko. 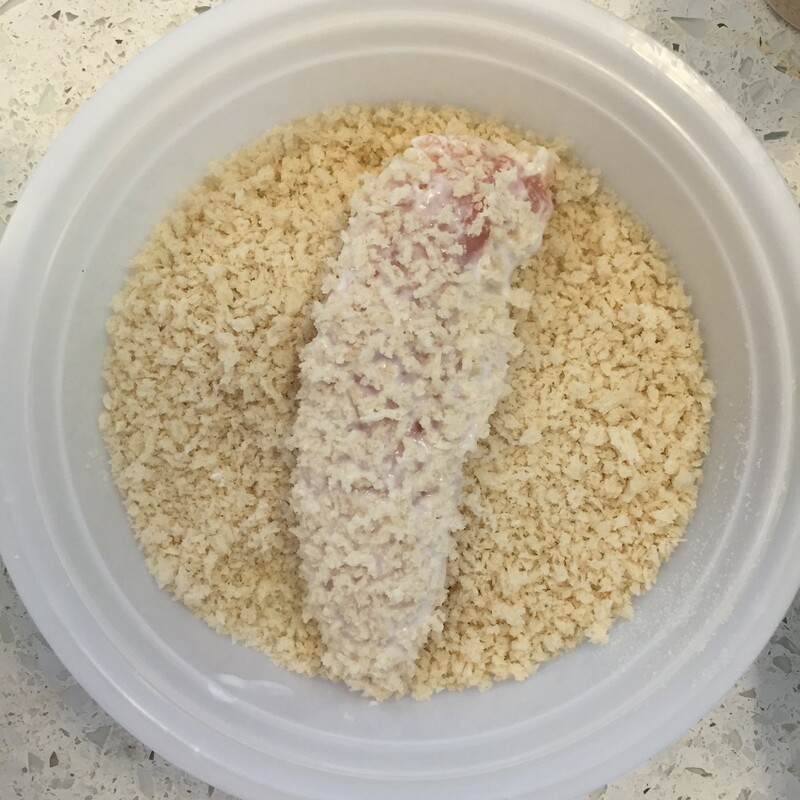 You will be dunking your chicken tenders in that order for breading. Set aside. 4. Get to fryin! 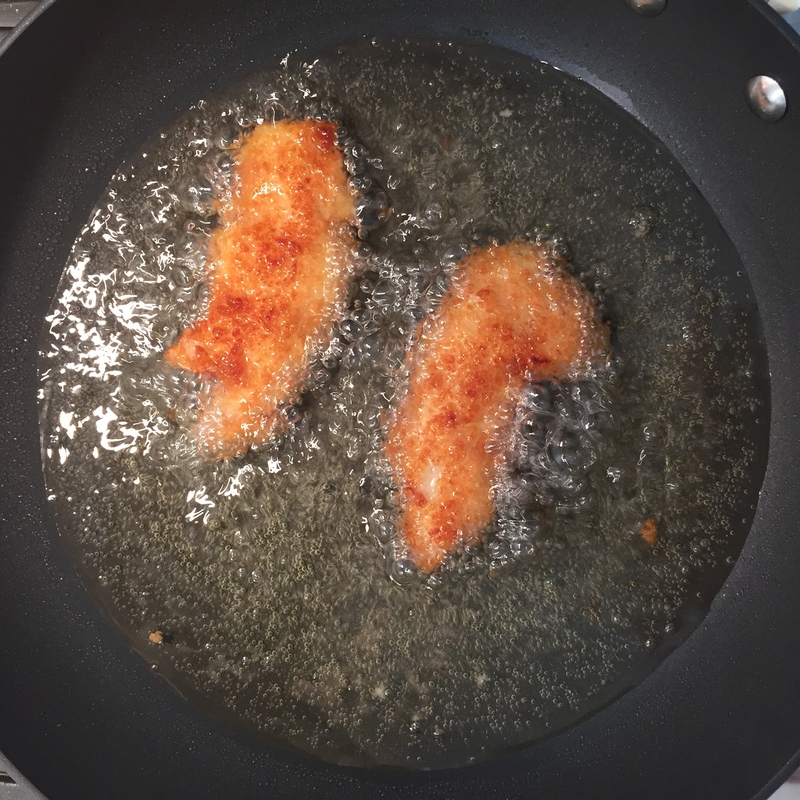 Drop 2 chicken fingers in the hot oil (be careful) per batch and fry for 7-8 mins, flipping once. They should be a beautiful golden brown color. Drain on paper towels. 5. 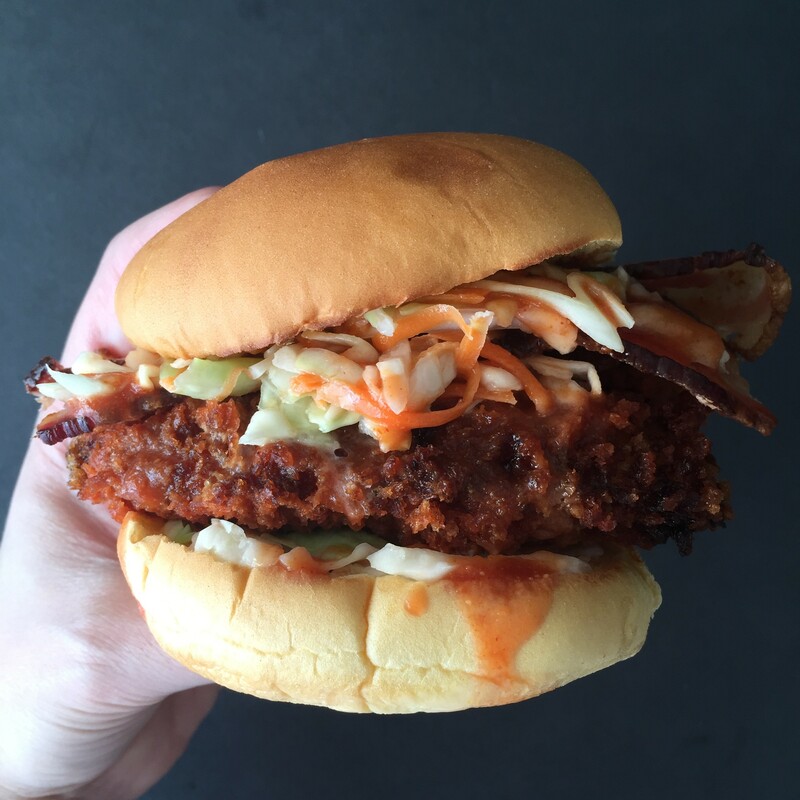 While you’re frying, you can make the BBQ sauce. 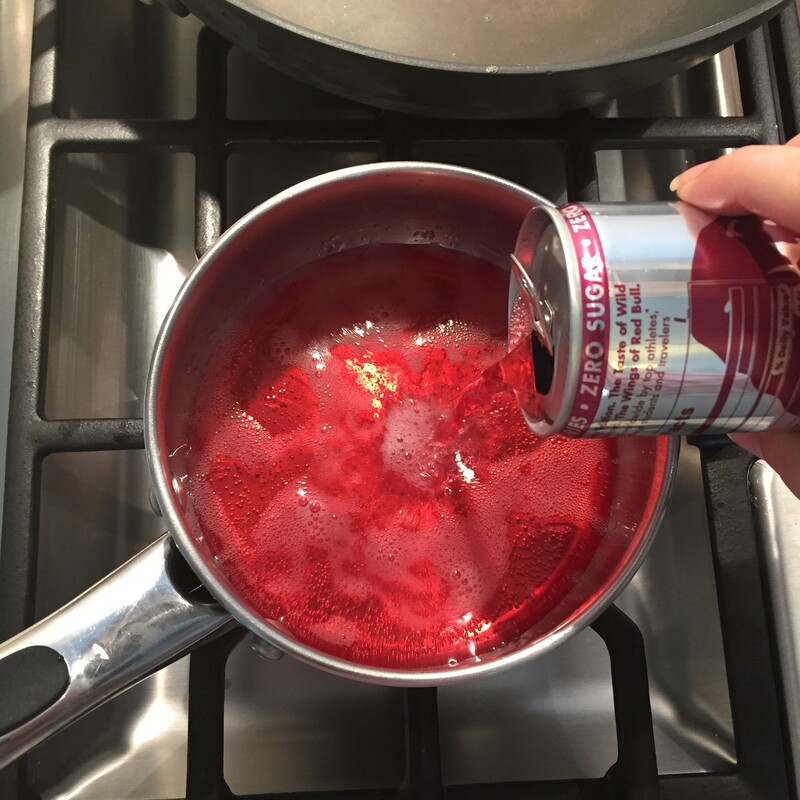 Bring the can of Cherry Red Bull up to a boil. Add the ketchup, mustard, mustard powder, and spices. Stir and simmer over low heat. Keep warm. 6. 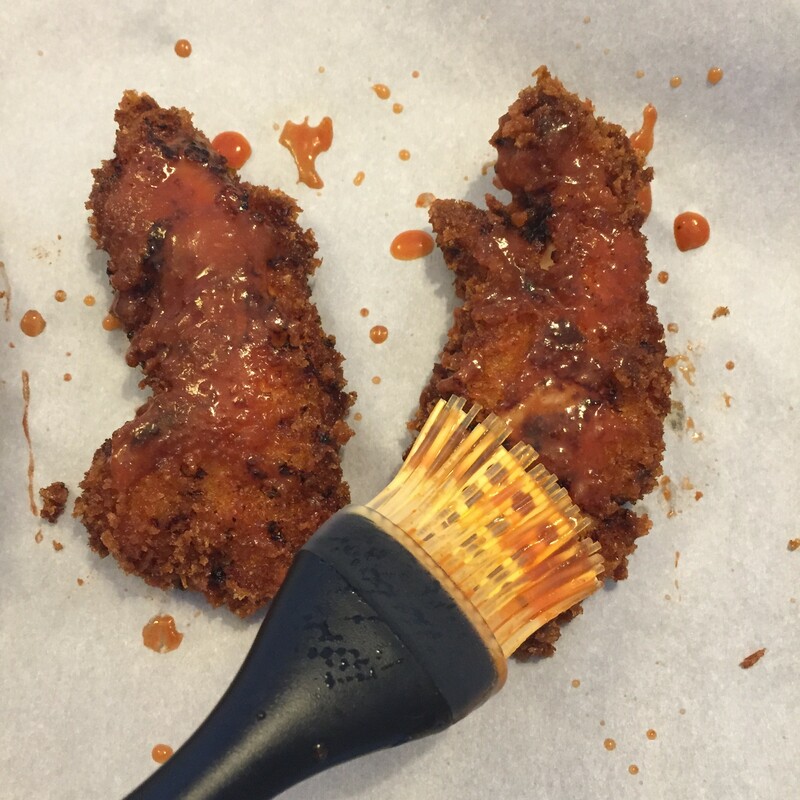 When the chicken fingers are done frying, brush them with the BBQ sauce on both sides. Pop in the oven for 5 minutes or so to get them a little extra crisp. Just watch them because the sugars in the sauce WILL burn if you keep them in for too long. 7. While those are baking, make the bacon. You should know how to do this by now. PS if you want to get super straight and evenly cooked bacon, lay on tin foil or parchment paper and bake at 375 for 10 minutes or so until all crisp and heavenly. 8. Toast yo buns! And then assemble the sandwich. 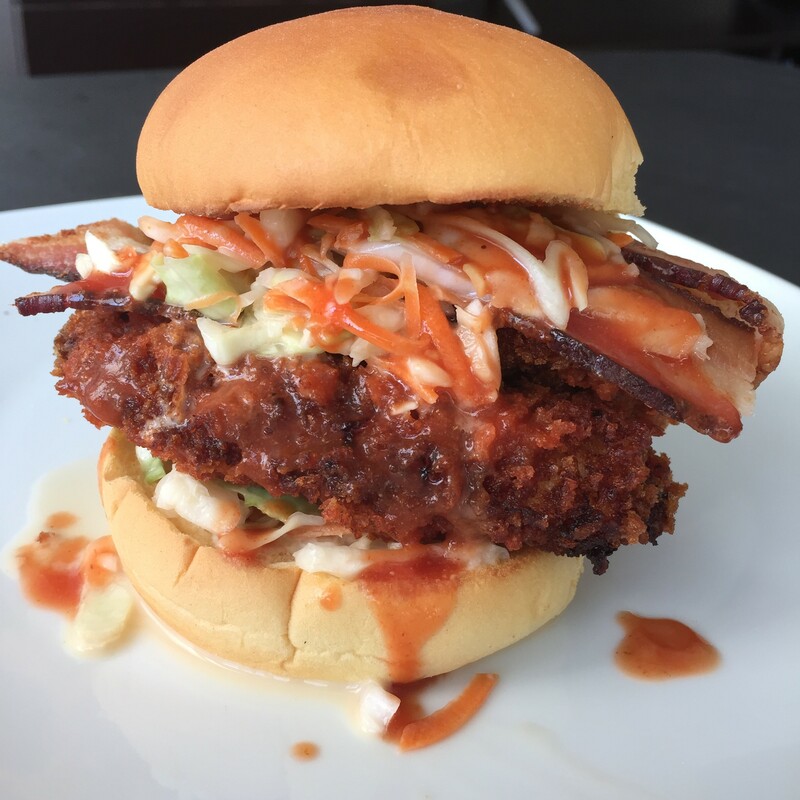 I layered as follows: cole slaw, 2 chicken fingers, 2 strip of bacon, more slaw, more BBQ sauce. Mmmmm sweet and crunchy and tangy goodness! !